Housing Benefit provides help with your rent. But what if you have a question about Housing Benefit and need answers? This quick guide shows you where to get online advice for questions about Housing Benefit. How do I get Housing Benefit backdated? Can I get help to top up my rent if Housing Benefit isn’t enough? I’ve been overpaid Housing Benefit. How can I avoid this situation in the future? Housing Benefit is “means-tested” – your council takes into account your exact income and capital (savings, other money or valuable belongings). The amount of Housing Benefit you get depends on how much rent can be covered, who is in your household, your income and any Housing Benefit restrictions such as the ‘Bedroom Tax’ and the Benefit Cap. If you’re renting from a Housing Association or Council then your Housing Benefit may be reduced if you have a spare room. Check on DirectGov to see how many rooms the law says you need in your situation. This article from Citizens Advice explains how your Housing Benefit will be reduced if you have a spare bedroom. Private tenants: now you know the maximum rent that Housing Benefit will cover, you can use a benefits calculator to check how much Housing Benefit you’ll get. Council or Social Housing tenants: now you know the maximum number of bedrooms and any effect of spare bedrooms, you can use a benefits calculator to check how much Housing Benefit you’ll get. use the online calculator to get an idea of how much Housing Benefit you will get. More from the housing charity Shelter about how your Housing Benefit is calculated. Housing Benefit can be complex. If you are unsure about your rights and responsibilities regarding Housing Benefit, you should get more detailed advice. Normally, you can only get paid Housing Benefit from the Monday after the day you first applied for Housing Benefit. In North Somerset a new application for Housing Benefit is done online. This usually means that the day you first applied for Housing Benefit is counted as the day when your completed online form was submitted. 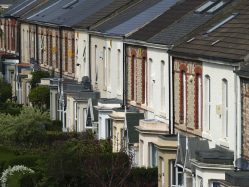 If you need to apply for Housing Benefit, you can make a new claim for Housing Benefit in North Somerset on the Council’s website. There are a very small number of situations you may be able to get Housing Benefit ‘backdated’. Backdated means paid for a period before you made your application for Housing Benefit. Shelter’s article tells you when you can get Housing Benefit backdated, including a sample template letter to request this from the Council, and other information you might need to send. make an application for Housing Benefit as soon as you can, because it’s not easy to get Housing Benefit going back before the date you first applied. What if you want to claim Housing Benefit before you move in to a new home? Read Shelter’s guide to when you can claim Housing Benefit before you move in. Can I get help to top-up my rent if Housing Benefit isn’t enough? If your Housing Benefit isn’t enough to cover the rent, you may be able to get help from a Discretionary Housing Payment. This is a short-term grant of money to help with your rent. The money is not guaranteed, so you shouldn’t rely on it to help pay your rent. You can apply for this from North Somerset Council. You can download the Discretionary Housing Payment application by clicking on this link: Discretionary Housing Payment application form (PDF)). Applying for a Discretionary Housing Payment? It’s really important to tell North Somerset Council about any changes to your income and circumstances, otherwise you might get more Housing Benefit than you are entitled to. This could result in an overpayment of Housing Benefit. Housing Benefit is exactly linked to your income and circumstances. For every extra £1 you earn or receive, your Housing Benefit goes down by 65p. This is why changes in your income and circumstances affect how much Housing Benefit you should be getting. Have a look at this list from Shelter about what changes in your circumstances to tell the Council about. There’s some great information from the housing charity Shelter, which we’ve provided links to in this article. You can also check out Citizens Advice for more information. Make sure you read about your responsibilities and rights carefully. Finally, for local advice, go to our Advice Directory, select ‘Benefits’ then on the Filter click ‘advice’ and then click ‘Filter’. Check the list or Map view to see where you can get advice about Housing Benefit.